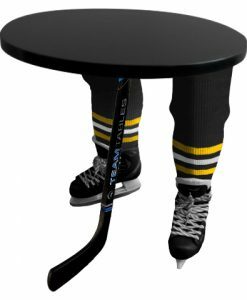 Here at Team Tables, in order to get your sports table and memorabilia to you in a timely and safe manner, we use a variety of professional services that ships across Canada. Our private and professional courier services carefully handles your art to ensure it arrives on time and in perfect condition. Payments will be processed through the secure PayPal or Merchant Services site. We regret that we cannot process orders via COD, company cheque, personal cheque, money orders or other payment methods not listed above. We aim to ship out your Team Table and other memorabilia within 72 hours however some products are special order and made to manufacture which requires a 4 week turnaround time. If this time requirement is necessary we will notify you by email. We collect personally identifiable information, like names, postal addresses, email addresses, etc., when voluntarily submitted by our visitors. The information you provide is only used to fulfill your specific request unless you give us permission to use it in another manner, for example to add you to our mailing list. After your order is processed at our TeamTables office, we carefully review the payment and order to ensure that you receive the product you have purchased and paid for safely and securely. Prices are noted in Canadian dollars for Canadian residents and in US dollars for International fans. Taxes will be applied to Canadian residents only. The taxes will be calculated based on the province in which the product will be shipped to. Prices do not include any taxes or tariffs that your country may impose. Please contact your local customs office for these charges as we do not collect these charges. 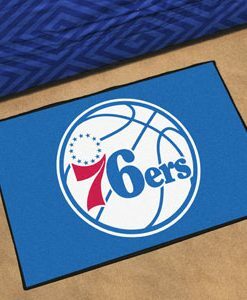 Team Tables will work in partnership with your sales and marketing team to create that unique custom crafted table specially designed for promotional purposes, corporate gifting, or as an added conversational piece in your own offices. Our team loves sports and are committed to giving back to local communities. We have developed partnerships for youth clubs with a focus on pledging further value to its members. A Team Table is perfect for the Club office, a gift for the coaches, or expressing the passion for your team. Ask about Customizing Your Club or Association's Team Table! Once you have placed an order on our TeamTables e-commerce store, you will be notified with an email immediately of your purchase with a digital copy of your invoice, if you have any additional questions about your order here at TeamTables, please visit the about us page for more information. The website owner shall not be responsible for and disclaims all liability for any loss, liability, damage (whether direct, indirect or consequential), personal injury or expense of any nature whatsoever which may be suffered by you or any third party (including your company), as a result of or which may be attributable, directly or indirectly, to your access and use of the website, any information contained on the website, your or your company's personal information or material and information transmitted over our system. In particular, neither the website owner nor any third party or data or content provider shall be liable in any way to you or to any other person, firm or corporation whatsoever for any loss, liability, damage (whether direct or consequential), personal injury or expense of any nature whatsoever arising from any delays, inaccuracies, errors in, or omission of any share price information or the transmission thereof, or for any actions taken in reliance thereon or occasioned thereby or by reason of nonperformance or interruption, or termination thereof. Need to Get a Message to Us? Send us an email !